Bajaj's small car in troubles, yet again! The Bajaj-Renault-Nissan alliance has been in news for the ULC project many times in the past wherein it has been postponing the launch of its ultra low-cost car twice in the last three years. In fact, the company has again postponed the launch of the product bowing the branding and production issues with the product. According to the initial plans, the product was expected to hit Indian roads this year. After making waves on almost every Indian road for many years before its party was spoiled by the home-grown Bajaj Auto, Vespa surely has had a lot of fame on its side. However, the company is planning a third entry in the Indian market nearly 50 years after it first rolled into the country. Though, it is already very clear that the company will be making its presence felt in the domestic circuit in its new avatar, but one cannot deny the fact that the brand already has enormous brand equity in the Indian market. According to analyst, the interested investors can buy the stock with stop loss of Rs 2170. Today, the shares of the company opened at Rs 2230 on the Bombay Stock Exchange (BSE). The share price has seen a 52-week high of Rs 2231.40 and a low of Rs 949.45 on BSE. Current EPS and P/E ratio of the stock stood at 128.74 and 17.24 respectively. Bajaj Auto has posted a 62% increase in its total sales during the last month (May 2010). Two-wheeler and commercial vehicles major sold 299,442 units in May as compared to 185,341 vehicles in the year-ago period. In an announcement, the company said that its flagship motorcycle brands Pulsar (75,974 units) and Discover (107,076 units) represented 68% of the overall motorcycle sales. The company added that during the last month, its motorcycle sales increased by 63% to 269.488 units, while scooter sales stood at 648. India's second biggest two-wheeler manufacturer, Bajaj Auto will continue strive hard on making its dreams come true with the KTM bikes a reality. In fact, the company's plans also include a gradual increase in its stake in the Austrian bike maker. However, in an earlier announcement, CROSS Industries AG, the promoters of KTM, had clarified that it would like to be a minority stake holder in KTM and will always hold more than 50% stake in the company. Bajaj currently holds 36% in the company and has no short-term plans of raising its stake. After Bajaj launched the premium Ninja bikes in the Indian market that sported a tag of over Rs. 2 lakh, the company has recently said that it is targeting close to Rs. 1 lakh tag for the KTM bikes that will be launched in the Indian market next year. It may be noted here that both the parties i. e. Bajaj & KTM have been working on the development of these products for the past 24 months and the products will be launched in the European market by the end of this year that will soon be followed by the India launch that will take place in the first half of the next year. While Bajaj Auto is busy firming up plans to take on the market leader Hero Honda, the second largest two-wheeler giant in the Indian market has got a rival in the form of Honda Motorcycle and Scooters India. On the one end, Bajaj Auto is gaining market share by eating into the market share if the market leader in the entry-level segment, HMSI is finalizing its strategy to grab the urban consumer more aggressively. While the second-largest two-wheeler maker has ignited a price war in the Indian market with the launch of the Discover at Rs. 46,000, HMSI is of a view that it is impossible to launch a premium bike at such a price point and the company is widely unimpressed by the move of the company. Although, the fourth-largest two-wheeler maker, HMSI that launched its new 150cc bike, CB Unicorn Dazzler, at a price of Rs 62,900, the company said that it will not pitch in the price war started by Bajaj in the Indian two-wheelers market. Bajaj Auto Finance has declared its fourth quarter financial results for the fiscal year 2009-10 and has managed to post a remarkable net profit. The firm has posted a net profit of Rs 25.2 crore for the quarter that ended on 31st March, 2010. It was reported to be Rs 15.1 crore in the corresponding period last year. This net profit figure has been 67% up against the same quarter in the preceding year. As far as the interest income (NII) of the company is concerned, it has touched Rs 198.2 crore for the fourth quarter. After the company reported a quadrupled profit in the final quarter of the last fiscal, the second-largest two-wheeler maker in the Indian market has said it will be a tough task for the company to maintain the level of profits at such a high level. India's leading auto manufacturer Bajaj Auto Ltd. has launched a new model of its Discover in the Indian market. The motor bike will have 150cc engine. This has been the first Discover series with this engine capacity. The company has launched the bike with a tag line of "More Excitement per Litre". As per the company officials, this bike will provide the best experience of two- wheeler riding in Indian roads. Moreover it has supreme power along with the best fuel efficiency. The company has claimed that this product is the best balance between power and fuel efficiency. As the second largest two-wheeler maker in the country has almost made a comeback in the Indian market after facing a tough in many months of the past two years, Bajaj Auto is certainly making efforts to keep the growth sustainable. With already gaining momentum in the entry-level segment in the Indian two-wheelers market, the company is now planning to expand its capacity to meet the exceeding demands of the consumers. According to its CEO for 2-wheelers, S. Sridhar, the company will take the present capacity of plant - 2.75 lakh units per month to 3 lakh units in three to four months time. While the entry-level segment has been the bread-and-butter for the market leader Hero Honda for many years now, but perhaps its arch rival Bajaj Auto has time got its plan made on full-proof basis and is not in a mood to make any error. 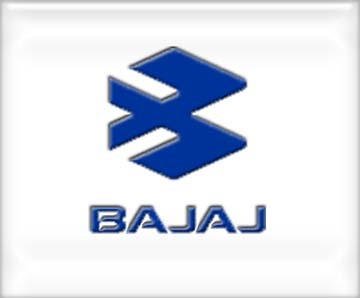 It is the Discover that it helping Bajaj to gain market share in the entry-level segment in the Indian two-wheeler industry. In fact, it is believed that though, the Splendor and Passion models from Hero Honda's stable are the country's top-selling motorcycles but Bajaj is climbing fast with its Discover range of motorcycles in the Indian market. Buoyed by the success of the Discover in the 100cc segment, the two-wheeler major, Bajaj Auto has recently announced the launch of the all new Discover 150. One cannot show its back to the fact that the Discover played a major role in bringing back the once lost volumes to the door of Bajaj Auto and the company has launched this product with an aim to strengthen its position in the commuter segment. Priced at Rs. 46,000 (ex-showroom Delhi), the company will be launching the product in a phase-wise manner across the other regions in the country. After the Pulsar brand was launched in the early 2000s, the years that followed marked a new journey for the company in the Indian market. It didn't only bring the leadership position for the company in the premium segment in a short span of time, but also played a major role in establishing the parent brand as one that stood for immaculate styling and technology. In fact, it is the latest and the smallest offering in the Pulsar portfolio that is currently driving the growth story for the company in the Indian market. At an event where Rajiv Bajaj announced the launch of the BSIII empowered three-wheelers, Rajiv Bajaj, MD, Bajaj Auto also shared the fact that the company was ready with the India's most fuel efficient and least-polluting car engine for its small engine being developed in alliance with Nissan. It is believed that the car will make its debut in 2012, but Rajiv has promised that it will have a better mileage than the Tata Nano. After Rajiv Bajaj made his strategy of the company to distance itself from the mother brand Bajaj public, many questions were raised over the viability of the move. But Rajiv says he is very confident as Bajaj portfolio is today very different as compared to what it was in the 1980s. The small car that Bajaj is developing in alliance with Nissan in aiming for a mileage of 30 km/litre that if attained will be a boon for the Indian consumer. Notably, the car will be launched in competition to Nano. Bajaj Auto Managing Director Rajiv Bajaj said that the company has learned a lot from its experiences in the two-wheeler market and is trying to keep the ownership cost so low that the Indian consumer may upgrade from its two-wheelers to the four-wheelers. Rajiv further added that the company is ideally aiming for a mileage of almost 30 km/litre. After thriving through the month of April 2010, Bajaj Auto is lining up a major launch on the 10th of May to broaden its portfolio for the Indian consumer. While the company declined to divulge any further details on the same but it is believed that the growth phase that Bajaj Auto is enjoying, the new offering will enhance its sentiment all the more in the Indian market. While the growth has been strong on all the fronts, be it two-wheelers or three-wheelers; there is no doubt that there has been in a slackening of retail demand in the domestic market.